3.9x38mm Cross Cut / DIN Security Level P-4 for sensitive, confidential & personal data. More Info. 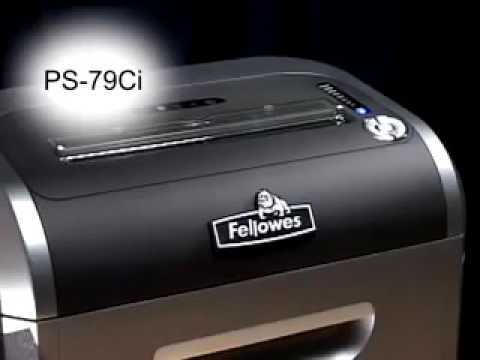 This all new Fellowes SB-99Ci Shredder is 100% Jam Proof and will auto-stop and reverse the machine when too much paper is inserted into the entry throat. A colourful visual indicator shows the shredder capacity. Featuring patented Safe Sense Technology, the Fellowes SB-99Ci stops the machine automatically if the entry throat is touched offering the ultimate safety in the home or office environment. The front opening permits visual access to the shredded waste paper and allows for the disposal of non-sensitive waste, eliminating the requirement for a separate waste paper basket. The SB-99Ci''s slim profile takes up less space than conventional shredders meaning it''s perfect to be kept next to your desk. It features an automatic start/stop function when the paper is offered and the pull-out bin for the removal of waste. This very quiet shredder includes many innovative features including the ability to shred CD''s, DVD''s, Credit Cards, Staples and Paper Clips. Electronic indication for auto start, stop, bin full and pull out basket open. The use of a P-4 shredder such as the Powershred SB-99Ci will aid your GDPR compliance. Safe Sense keeps fingers safe as the machine will automatically stop shredding when hands touch the paper entry throat. Ultra quiet shredding minimises disruption in shared work spaces. This model will switch to standby mode after periods of inactivity to reduce energy consumption.